- Sofa Interiors is pleased to offer In-Home consultations. The visit allows our design experts to view your rooms, discuss your decorating project, colors, style preferences and lifestyle needs. Choosing the right fabrics will be much easier, because weâ€™ll bring the fabrics to your home! - All frames are constructed in the USA. Kiln dried hardwood frames for lasting strength and resistance to warping. No-sag sinuous steel coil springs. This support system offers an excellent seat support for the best possible price. Extra dense deck padding to cover springs. Cross-woven webbing to provide support and a soft give. 8-way hand tied springs are available as an upgrade. Check with a sales associate in one of our stores for prices. - Sofa Interiours is able to reupholster your existing pieces in a limitless number of options. 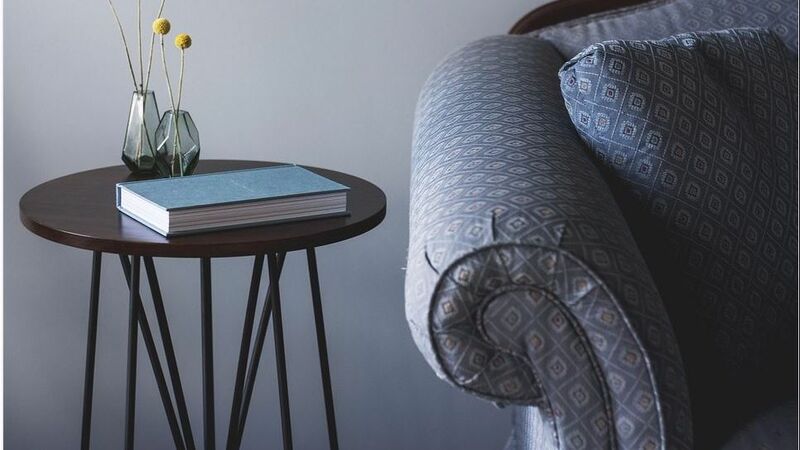 Our reupholstery service can be simply recovering an existing piece with new fabric, but it may also involve restuffing pillows and cushions, and replacing or repairing springs. Our reupholstery service will be completed in three to four weeks! This quick turn around makes it possible to have furniture recovered for that big party or special event at the last minute, as well as avoiding the inconvenience of being without your furniture for too long.